Our meticulously-prepared recipe is the perfect balance of taste and nutrition for your special friend. This food is a complete & balanced meal made with high quality beef and vegetables. It contains a blend of crunchy pieces, including an "H"-shaped piece, to help keep teeth & gums healthy. 100% nutritionally complete & balanced for all life stages for small dogs. This food is formulated to meet the nutritional levels established by the AAFCO Dog Food Nutrient Profiles for all life stages except for growth of large size dogs (70 lbs. or more as an adult). 1 cup = 8 oz. measuring cup, 1 tray = 3.5 oz tray. 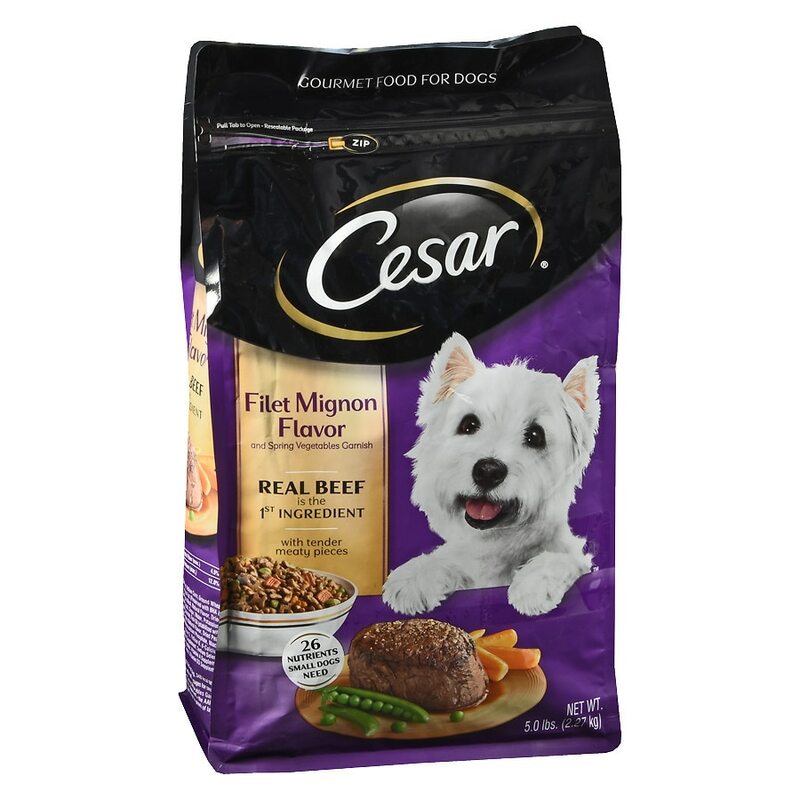 If feeding Cesar Filet Mignon Flavor and Spring Vegetables Garnish dry dog food for the first time or changing formula, we suggest you blend increasing amounts of the new formula with your old dog food for 7-10 days. *An individual dog's requirements may differ from this guide.